Our distinguished Board of Directors, provide leadership and guidance as the governing body of Center for Human Services. Bill Bunnell is the founder and CEO of Network Builders IT, Inc. He has over 17 years of experience in the IT industry. Bill is interested in programs focused on the at risk youth in our communities and making sure that they have the tools, resources and support necessary to be successful in their lives and society. Andrew Mosier is the Controller at Ghirardelli Chocolate Company. He has his MBA and is also a Certified Public Accountant and Certified Internal Auditor. Prior to serving on our Board, Mr. Mosier served on the non-profit Board for the Down Syndrome Association of Greater Cincinnati. Andrew is most concerned about the breakdown in family. He is passionate about helping people who, for reasons beyond their control, cannot help themselves. Andrew joined our Board in 2013 and is serving on our Finance Committee. Patti Reeder is the General Manager – Logistics at G3 Enterprises. Patti received her undergraduate degree at the University of Virginia, then traveled the world. After receiving an MBA from the University of Arizona, she settled in the area with her husband and son and currently resides in Oakdale. Ms. Reeder is concerned about a lack of focus on “balanced education”. Sarah Birmingham became a member of the State Bar of California in 2001. She graduated from Santa Clara University School of Law with a Juris Doctor degree and the same university for her undergraduate degree in Political Science. Sarah is an attorney with Gianelli & Associates specializing in Family Law. Prior to this she was a partner at Curtis Legal Group. Sarah is concerned about children and teens who may not have adequate family support to help them cope with the stresses of growing up. Tyler is a commercial recruiter at Aerotek, Inc., a staffing and recruiting partner for large and small companies here in the Central Valley with needs ranging from skilled labor, administrative professional services, to environmental and commercial engineering. Tyler received a Degree in Business with a focus in Marketing and Sales from California State University, Chico. Prior to attending school, Tyler was an Enlisted member in the United States Navy, where he served 5 years aboard the USS Boxer, LHD4 as an Aviation’s Boatswains Mate Handler. Tyler has been a board member since his return to Modesto in 2015 and has enjoyed working with the board as well as clients of CHS. He is an active member of the Marketing Committee and volunteers with Pathways. Brett Dickerson has spent the last 16 years focusing on employment law, particularly in the representation of local businesses and in doing so, has become one of the leading employment law attorneys in the area. He is in private practice in his hometown of Oakdale. Brett is most concerned about the breakdown of the family unit and its inevitable reduction in the availability of positive role models. Brett joined the Board in June 2013. Jorge L. Fernandez is a Licensed Clinical Social Worker and the Director of Behavioral Health Centers at Golden Valley Health Centers. He joined our Board of Directors in 2016. Jorge comes with 16 years of experience in the Mental Health Field. He is certified as a Cultural Competency and Mental Health First Aid Trainer. Having been employed by Center for Human Services for 14 years, Jorge is knowledgeable and passionate about continuing to support the values, vision, and mission of the Agency. Vicky Fierro is an Accounting Manager at G3 Enterprises. She earned her bachelor’s degree in accounting at Stanislaus State and has over 10 years of corporate accounting experience. Vicky is passionate about programs that provide assistance and tools to individuals or families to live better and healthier lives. She was born and raised in Modesto where she lives with her husband and two loving cats. 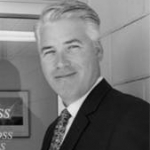 Mark Goss is a Certified Family Law Specialist by the California Legal Board of Specialization. He practices Family Law as a Partner at Goss and Goss, a Professional Law Corporation. Mark graduated from McGeorge School of Law and was admitted to the State Bar of California in 1998. In addition to serving on our Board, he is involved with the Modesto Chamber of Commerce and the American Inns of Court Foundation. Mark is most interested in programs that address safety, youth development and early intervention for substance abuse, mental health issues and family resources. These are all critical elements in creating opportunities for successful lives. Mark joined our Board in 2010. Dirk Hoek joined our Board in February 2012. He brings to us many years of experience having served as a Board member for Stanislaus County Housing Authority, Bethany Home Society, the Modesto Lions Club and Ripon Christian Schools. Dirk is concerned about providing education and training to children in their pre-teen and teen years, providing effective guidance and facilities to those in need of rehabilitation and making sure we inform families of the available resources in the community. Bruce G. McClellan is a First Vice President and Commercial Relationship Manager with F&M Bank. He has served on our Board for over 9 years and is concerned about the lack of resources dedicated to education in order to stop the cycles of poverty and abuse. He is especially passionate about the work being done to stop these cycles, by serving youth and families right where they live, through our four Family Resource Centers in Ceres, Oakdale, Patterson and Newman. Carmen-Maria Navarro works as Director of Marketing at E. & J. Gallo Winery since 2015. 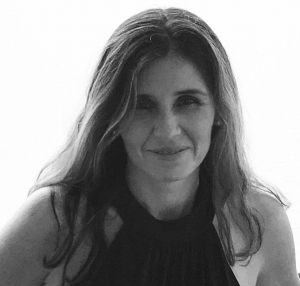 She has an MBA from Tuck School of Business at Dartmouth and has 14 years of experience in working in Brand Management with top 500 companies such as Whirlpool, Heinz and Kraft. Prior to serving on our Board, Ms. Navarro and her family served as a “safe family”, hosting at-risk kids and foster children. She is passionate about protecting vulnerable youth and believes in strengthening families and creating support systems to break the cycle of poverty. Danny Savage is the co-owner of Paradigm Construction. He holds a Bachelors Degree in Business Administration with a concentration in Marketing. Danny is civic-minded, having served on the Modesto Girls Softball League (MGSL) Board for more than 8 years and coaching girls’ softball. His focus is on poverty, adapting to shifting economies, drug/alcohol abuse, single parent households and education. As a father of two daughters, it is especially important to Danny that young ladies develop social skills, self-confidence, discipline and leadership skills that foster positive growth which will benefit them throughout their lives. Mr. Solomon is a Commercial Realtor and partner in COSOL Commercial Real Estate. He grew up in Modesto and wants our community to be safe and secure. Tom has been very active in the community and is focused on strengthening families so that they can prosper in the future. Tom has a long history with CHS and has been on our Board since 2003.